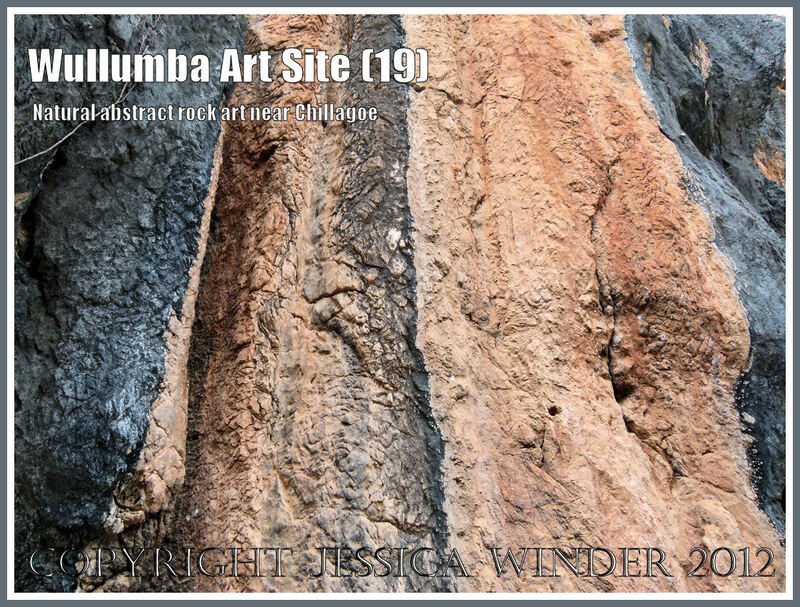 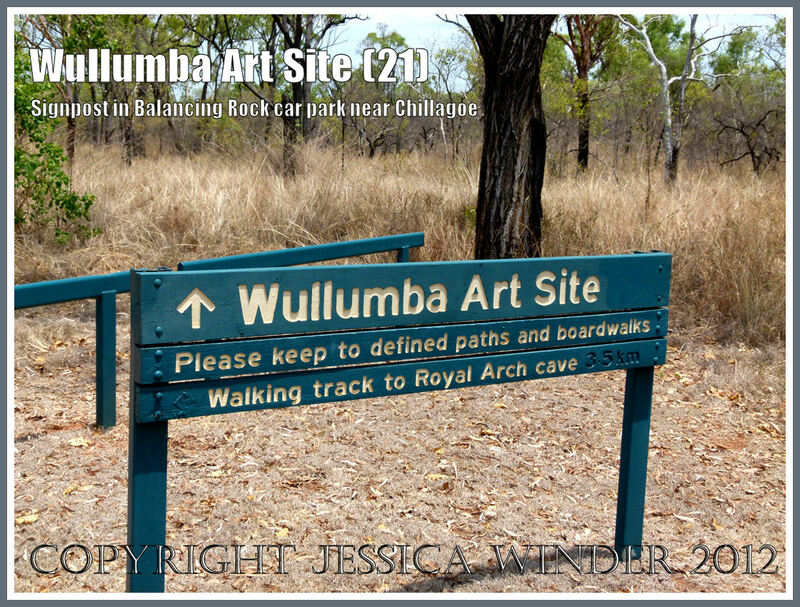 Wullumba Art Site is one of two Aboriginal rock art sites in the Chillagoe District of Queensland, Australia. 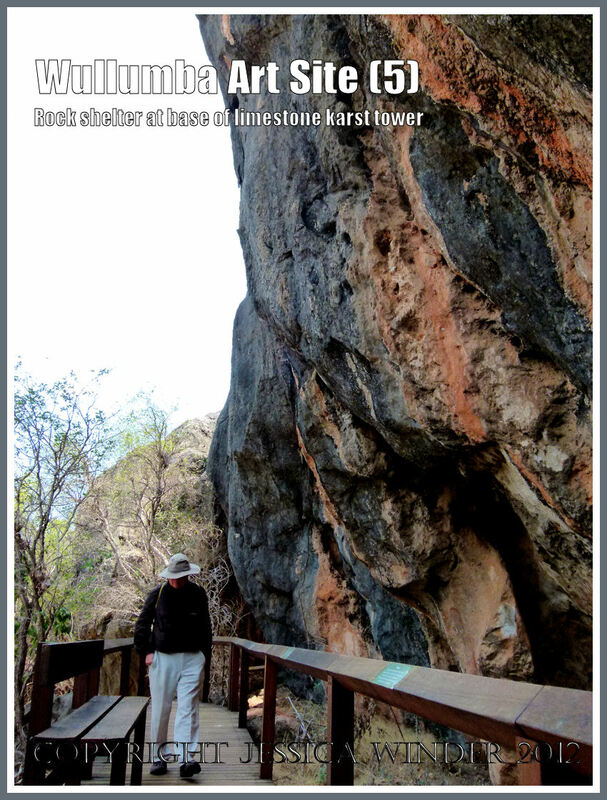 The flat landscape here is studded with natural outcrops of weather-worn limestone rock known as karst towers or bluffs. 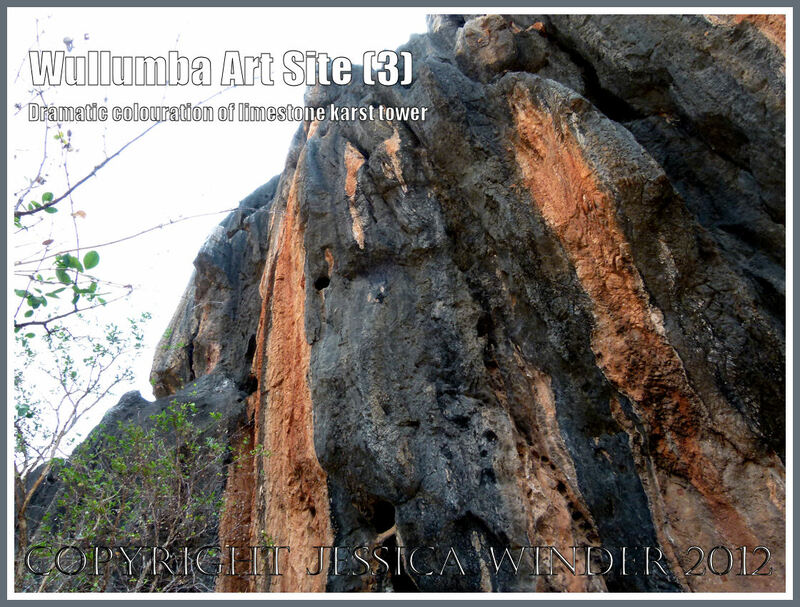 The limestone outcrop of the Wullumba Art Site rises imposingly above the plain. 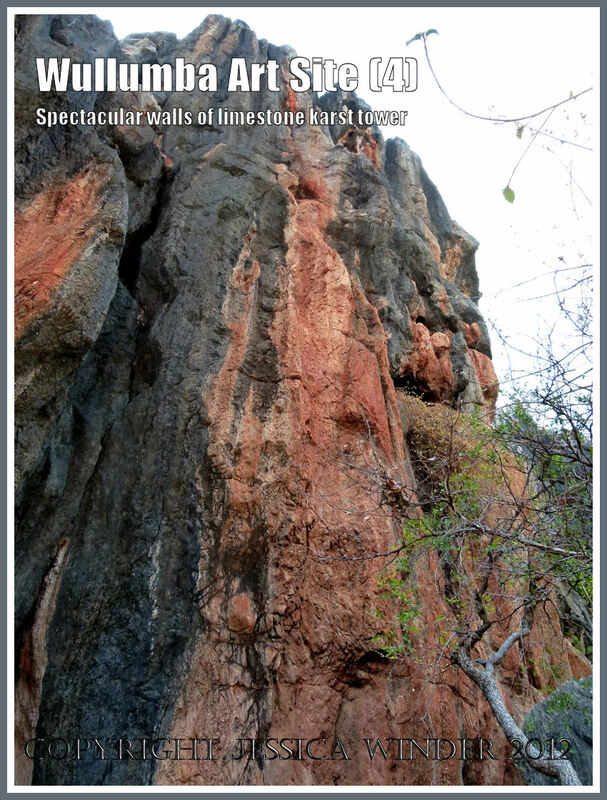 Its dramatic steep cliff sides are naturally sculpted into vertical stone columns or flutes terminating in conical apices – these flutes are known as Rinnenkarren. 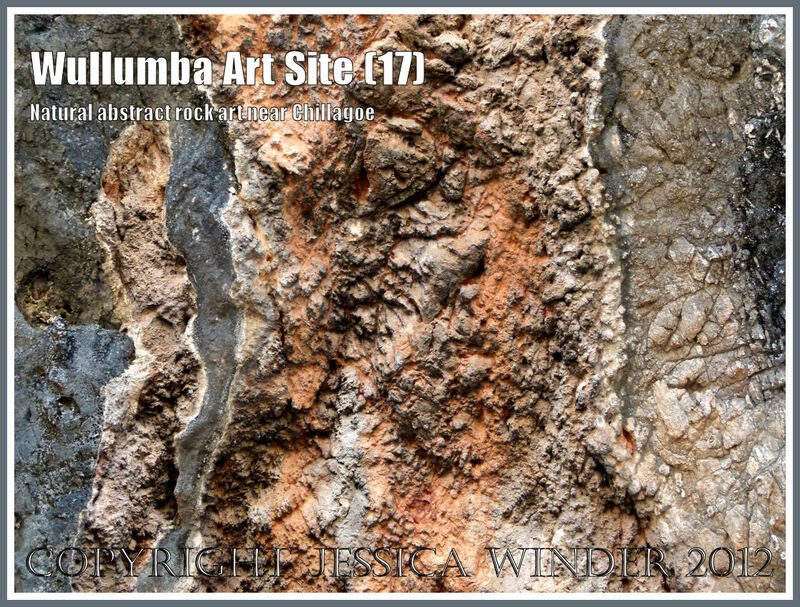 The limestone is adorned with spectacular black and orange patterns. 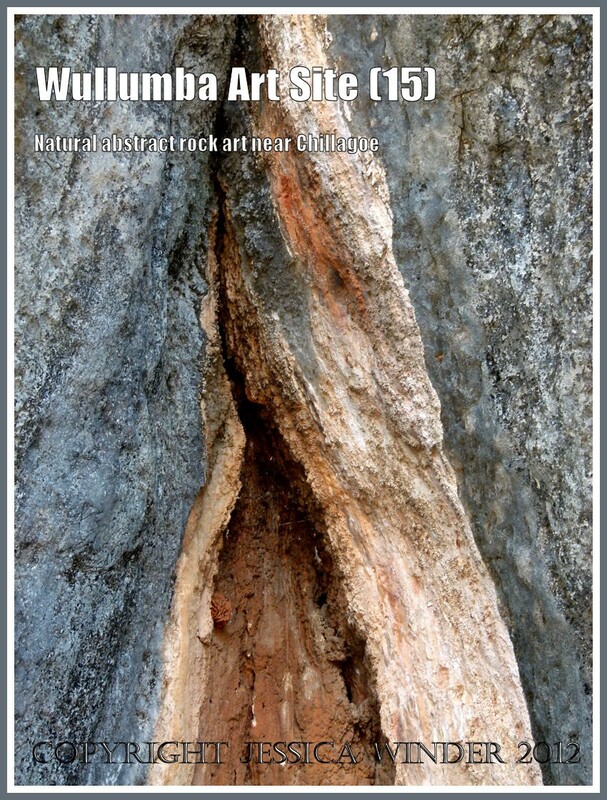 I’m not sure what the colours signify. 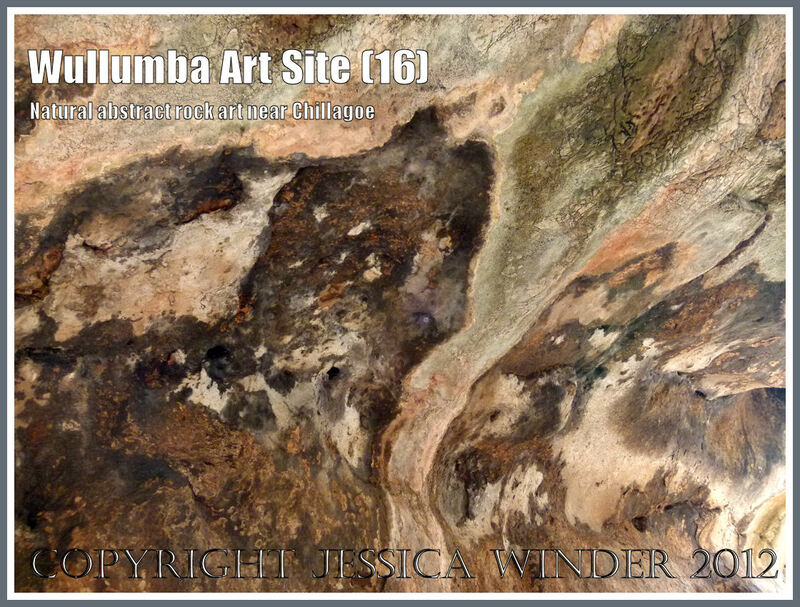 It could be that the colours are due to the leaching out of iron-based minerals – with the blacker areas possibly containing more magnetite, while the vivid orange-red colour being due to the haematite form. 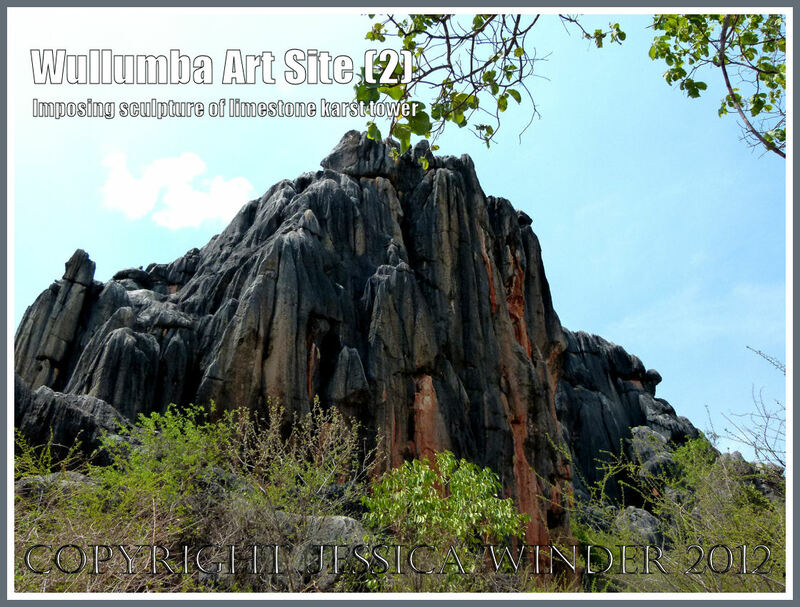 The whole rock structure with its spectacular shapes, patterns, and colours, forms an imposing natural monument. 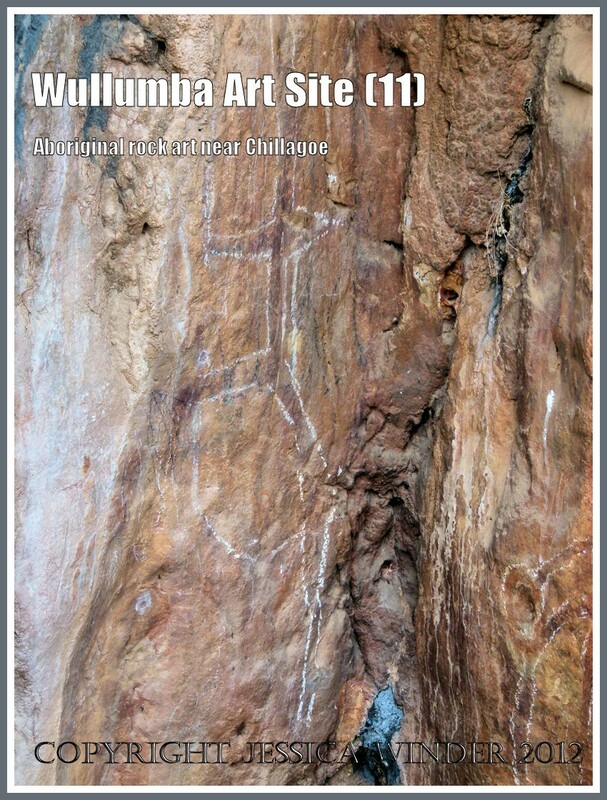 It is no wonder that Aboriginal people have been attracted to occupy or rest in this location for thousands of years. 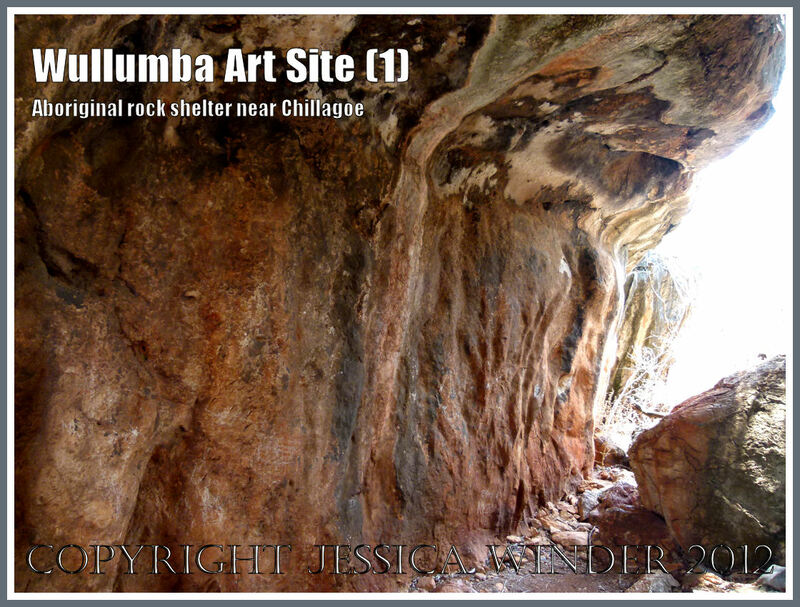 Physical features of the structure, such as the slight overhang at the base of the cliff, the tunnel which cuts through it from side to side, and the great height blocking the sun for much of the day, create a good place for people to shelter. 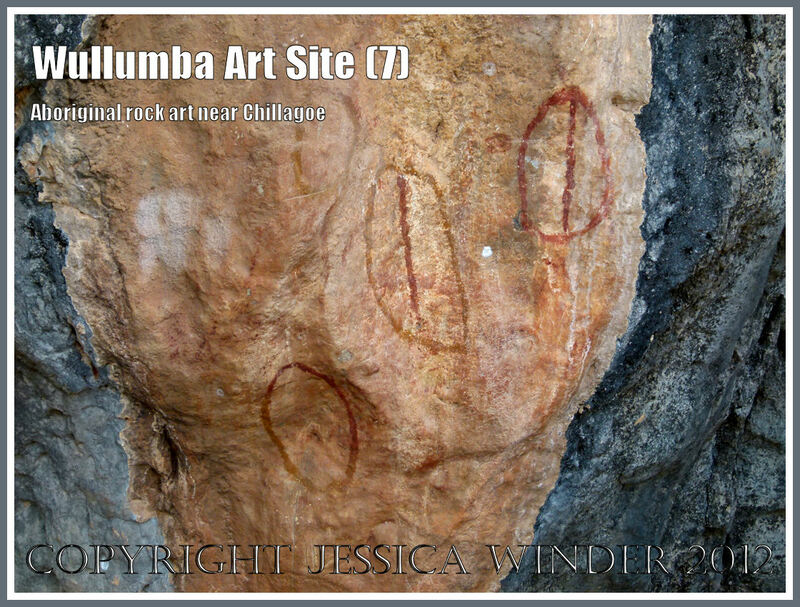 Rock art was continually over-painted. 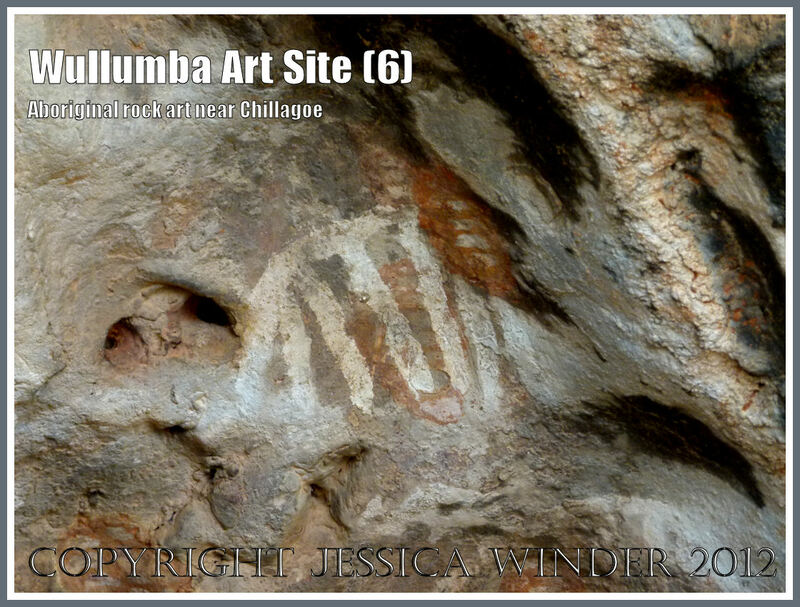 the last painting of this site was probably about 100 years ago. 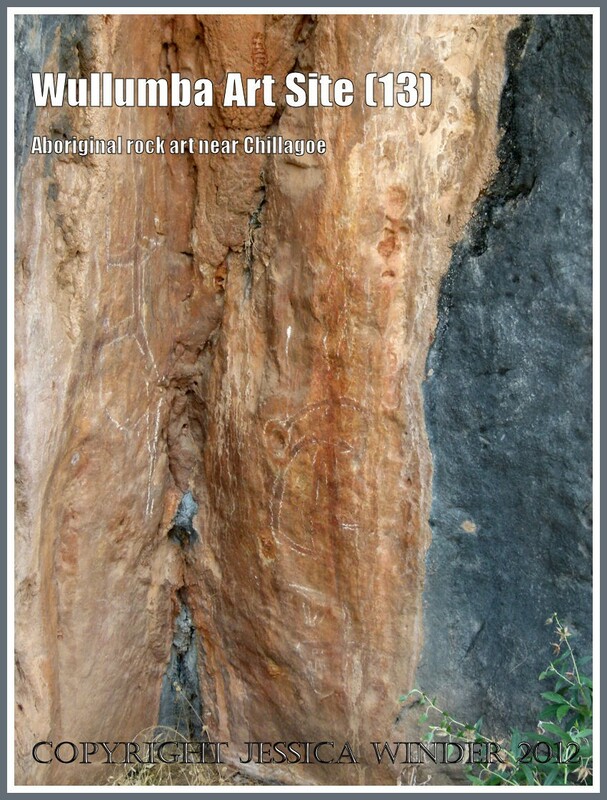 Natural weathering has caused deterioration. 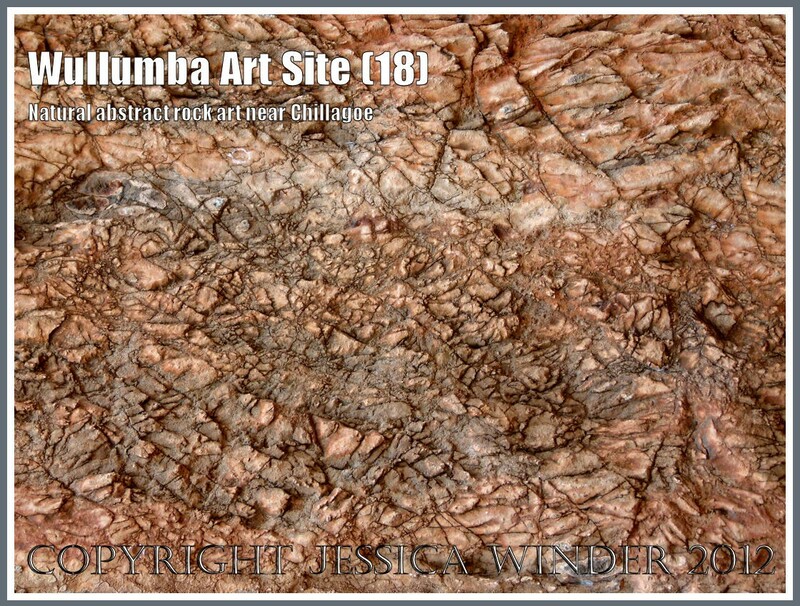 Animals and visitors have caused further damage by touching the images and raising dust. 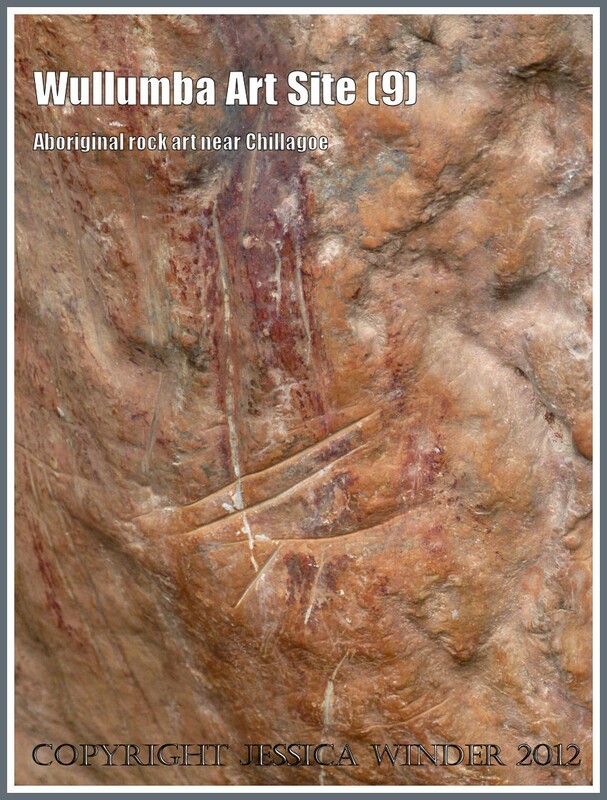 Aboriginal rock paintings are not “art”. 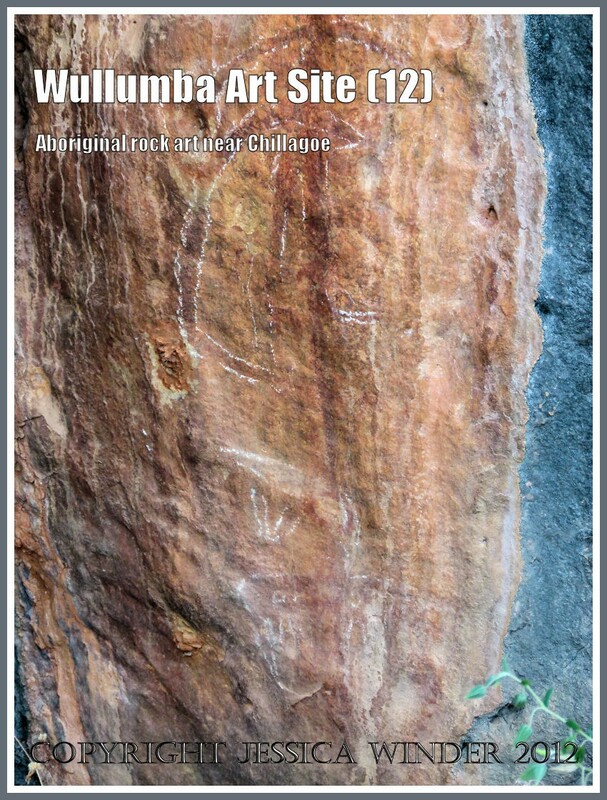 They were a way of communicating ideas – although the meaning of these images has since been lost. 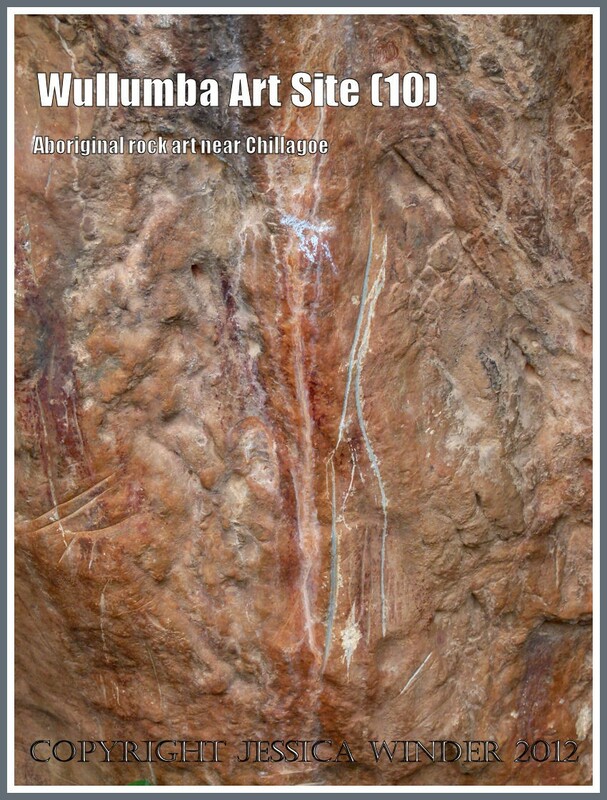 Ochres and clays were mixed with water to create red and white colours. 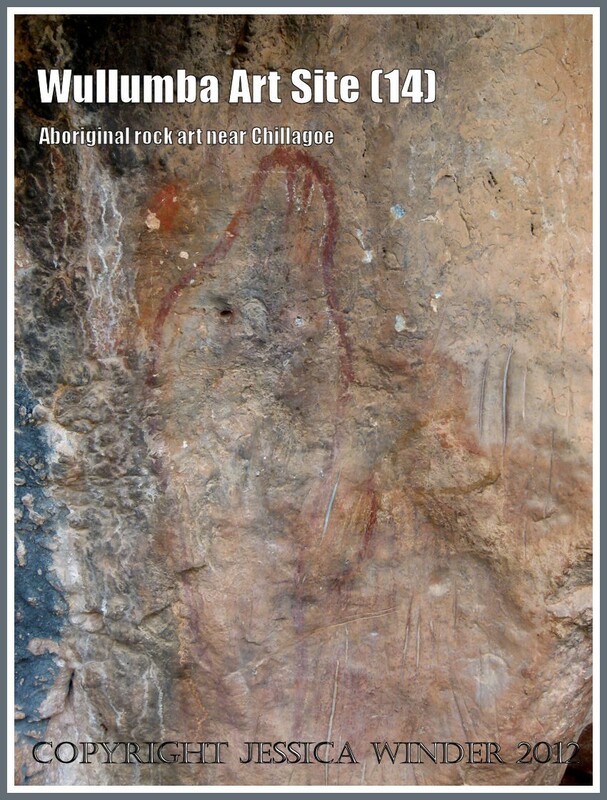 Engravings – rock shelters such as this were used as “living rooms” by Aboriginal people for thousands of years. 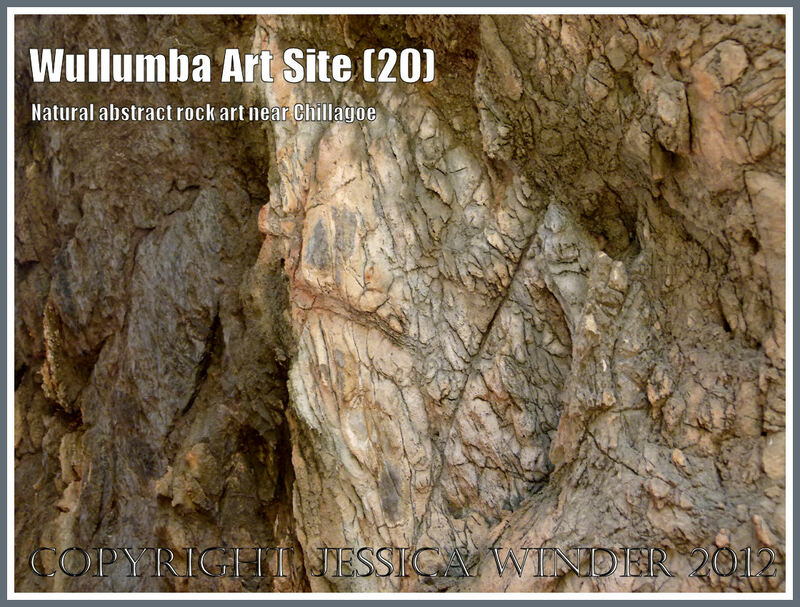 The grooves (engravings) in the walls were carved by successive occupants over time. 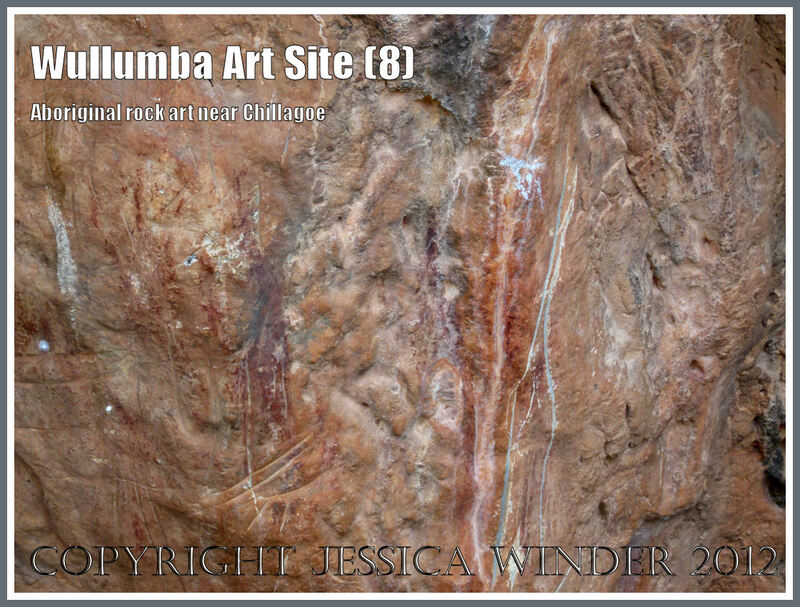 Furthermore, in addition to the Aboriginal rock art, the natural abstract beauty of the rocks themselves, the combinations of natural textures, patterns, and colours that they exhibit, create an altogether very special place.